DHAKA: A Bangladeshi journalist was arrested and another was on the run on Wednesday for publishing "false information" about voting irregularities in an election won by Prime Minister Sheikh Hasina, police said. Hedayet Hossain Mollah, who works for the Dhaka Tribune newspaper, was detained late on Tuesday under a controversial digital security law which rights groups say gives authorities broad powers to stifle dissent. Mollah was arrested in the southern Khulna region after he reported that in one constituency 22,419 more ballots than the number of registered voters were cast, local police chief Mahbubur Rahman said. 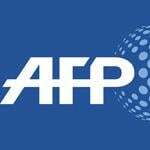 "The actual votes cast were only 80 percent of the total votes," Rahman told AFP, adding that Mollah was accused of "providing false information in an effort to make the election look questionable". If convicted Mollah could face up to 14 years in jail under a draconian anti-press law that was toughed by Hasina last year. The police chief said another journalist was wanted for questioning after a local government administrator filed a case against the two under the the controversial law. Hasina, 71, is accused of creeping authoritarianism, including muzzling the media and jailing prominent journalists such as Shahidul Alam, an award winning photographer, who spent four months in prison recently. Hasina won 98 percent of seats in Sunday’s election which opposition politicians claim was rigged by the ruling Awami League to deliver her a record fourth term as Bangladesh’s leader. Thousands of opposition activists were arrested during the campaign while voters reported intimidation at polling stations on election day which was overshadowed by the deaths of at least 17 people in clashes between rival supporters. On Tuesday, the European Union urged authorities in Bangladesh to probe violence and obstacles to voting that the EU said had "tainted" the election. The United States also expressed concern about "credible reports of harassment, intimidation and violence". A State Department statement urged the country’s Election Commission to "work constructively with all sides to address claims of irregularities". Opposition parties won only six seats and have demanded a new election under a neutral caretaker government. Hasina has denied allegations of vote-rigging and rejected calls for an election re-run.